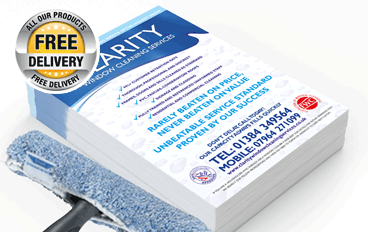 A5 flyers are one of the cheapest ways to advertise and are by far our most popular flyer. Cheapestprintonline.co.uk has been supplying cheap flyer printing for over 30 years so you can rest assured you are buying from an established printing company in Leicestershire. We specialise in all types of full colour flyer printing including A6 printed flyers and A5 printed flyers and all other cheap flyer printing including other sizes such as A4 printed flyers. Some call flyer printing - leaflet printing, however printed leaflets and printed flyers are pretty much the same so we offer A6 leaflet printing, along with A5 leaflet printing and again, larger A4 leaflet printing along with folded leaflet printing. If you compare our flyer printing prices or leaflet printing prices you will find we offer the cheapest flyer printing prices in the UK and the cheapest leaflet printing prices in the UK. Not only are our flyer printing prices the lowest flyer printing and leaflet printing prices in the UK but our cheap flyers are only high quality flyers and we only offer high quality flyer printing. We offer the best in service for online printed flyers and online printed leaflets, but we don't just offer online leaflet printing, we also offer all types of next day printing. If you need cheap leaflets in 24 hours or cheap A5 flyers nextday, then we can help you. We not only offer the cheap flyer printing online, we also offer next day printing on all our products including leaflets and flyers next day alon with 24 hour leaflets and 24 hour flyers. Printing flyers fast is not a worry for us at all, most of our customers require quick flyers so we are used to printing flyers fast so we can deliver flyers in 24hrs - no problem! 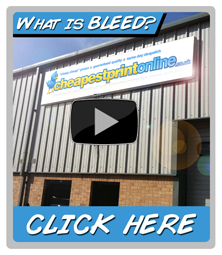 Why choose flyer printing to promote your business / service? All our full colour flyer printing is carried out in-house using state of the art printing presses at our Leicestershire based factory - ensuring we have total control of your full colour flyer printing at all times. Offering cheap print online does not mean we compromise on quality print - far from it, we only offer high quality print which is why we have been the UK's leading flyer and leaflet printing specialists for the last 30 years. Whether you are ordering 1000 A5 flyers, 5000 A5 flyers or 10,000 flyers, you will find our customer service exceptional, friendly and courteous at all times - after all, our team is here to help you, the customer! Flyer printing or leaflet printing are essentially the same thing. A printed flyer, printed leaflet or printed handout designed correctly promotes a business, service or product. Our flyer printing and leaflet printing is all carried out in full colour onto different papers, like an A5 glossy flyer printed as A5 130gsm gloss flyers or for a thicker option use an A5 300gsm gloss flyer. We offer all sizes of flyers and leaflets from A6 flyers, A5 flyers, DL flyers to A4 flyers which when folded are commonly used as A4 menus or folded price lists like A4 takeaway menus. Our flyers are great for all type of businesses to create cheap advertising like windows cleaner flyers, personal trainer flyers, hair and beauty leaflets, hairdresser flyers, plumbing flyers, landscaping flyers, gardening flyers and estate agent flyers to name but a few. Getting your design right for your A5 flyer printing or A5 leaflet printing is a priority - poor design will just get ignored and thrown in the bin. Rather than just printing, say, 5000 A5 flyers or 5000 A5 leaflets with a quick 'DIY' design you would get a far better response from 5000 A5 flyers or A5 leaflets printed with a professional design. If you get a 2% response from 5000 A5 flyers or A5 leaflets printed with a professional design, this is far better than a 0.5% response from 10,000 A5 flyers or A5 leaflets with a basic DIY design. Keep your flyer design simple, whatever it is - an A6 flyer, A6 leaflet, A5 flyer, A5 leaflet, A4 flyer, A4 leaflet or A4 folded brochure - you need to keep it simple, you only have a limited amount of time to get your full colour flyers or full colour leaflets noticed - remember first impressions count! Use a reliable printer.. when you order your A5 flyers or A5 leaflets (or any other size flyers or leaflets) you want them quick - 'strike while the irons hot'! Use a fast printer who can offer cheap same day flyers, cheap next day flyers or 24 hour flyers - you will pay slightly more for same day despatch, but think of how much more revenue you will take if you can get your A5 flyers or A5 leaflets out there in front of your customers so much quicker by using a next day flyer printing company! We are the fastest printing company online offering 3 turnaround speeds to suit all budgets. We are one of only a few same day printing companies who can say we are a 'true' same day printing company or next day printer offering same day printing and 24 hour printing (some of our competitors 'load' the extra days onto the turnaround by blaming it on the delivery company). For cheap promotional flyers and cheap leaflet printing you can use our standard 5 day turnaround which means we will despatch your order in 5 working days. This service is ideal if you are not in a rush for your cheap flyer printing or cheap leaflet printing and just want the cheapest flyers online. We also offer 24 hour flyers and 24 hour leaflets the following working day after despatch by guaranteed next day delivery. If you need quick printing for next day flyers, next day leaflets or next day brochures we offer a same day printing service - order by 2pm and your A6 flyers, A5 flyers, or if you call them leaflets then your A6 leaflets, A5 leaflets or A4 leaflets will be printed same day and we will despatch your same day printing the same day so your same day flyers or same day leaflets are delivered to your door the next working day.